Time savings Automation testing can take time to show a ROI; however it has the obvious benefit of being faster than manual testing. It also helps save time that would be taking in fixing any defects detected. While fixing defects would otherwise take much longer, automation creates a tighter feedback loop between the test cycle and development of code; thereby saving time. There is solid evidence to show that that automation testing that spreads the testing out across different machines can help significantly in time cycle improvements. This helps test comprehensively and helps detect flaws accurately; both of which speed up the development process. Obviously time saved is money saved; it also means a faster launch of the product into the market. More regressionsWith test automation, it is easy to detect and fix regressions that may otherwise have gone undetected. While finding regressions and fixing them could mean some amount of time expenditure at the testing stage, it can mean big savings at a later stage. This is because the cost of the end user detecting those can be very high indeed. The overall process of regressions becomes easier with the help of automated testing. Since automated testing is performed by software in machines, there are fewer lacunae in the testing process. The software will invariably perform the checks that it is programmed to; and will always follow the same process at a lower cost. Fewer defectsBy definition, testing can be a boring and repetitive process; which can be a terribly tedious task when performed manually. In this scenario, a jaded tester may well overlook defects; which, however automation testing will not overlook. The fact that testers are able to accomplish the test with the press of a button can be great for morale; one of the main reasons why so many businesses choose to outsource quality assurance tasks to the experts. 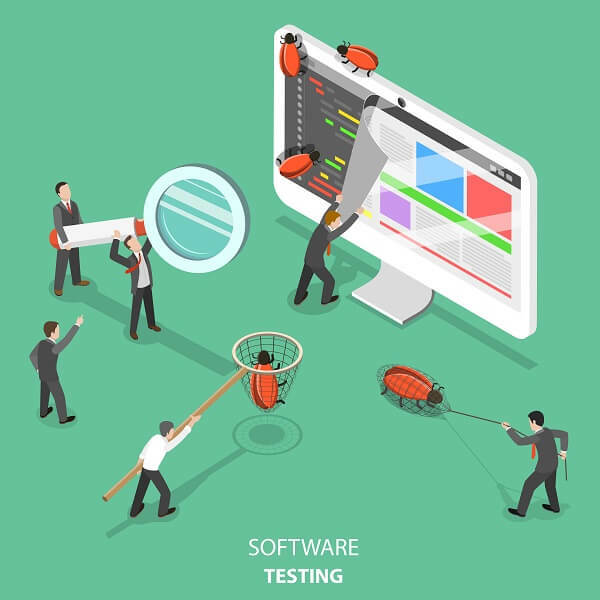 A better final productAnother way that test automation ups ROI is that it costs much less to fix a flaw detected early in the system development life cycle (SDLC) than in the production cycle. According to estimates, the costs may be as much as ten times less in the former scenario than the latter one. Additionally automated security testing manages to ameliorate costs because of the way that it is effective in reducing risk and remediation costs. With malware attacks and cybercrime being a huge headache for businesses, this can mean huge potential future savings. With continuous periodic upgrades/ application changes being published, automated testing covering all infection points can help to find flaws early and improve the product overall. The full impact of automation testing on a product can be difficult to gauge and it may be difficult to put a number on the exact return on investment that a business may enjoy in the longer term. Since the test automation process delivers quantitative as well as qualitative benefits, the actual ROI may not be possible to calculate. However when you take into account the time and money saved as well as the long term benefits of having a better, more stable and secure product in the market, the total ROI can be very high indeed! Connect with us to gain all these benefits and more.